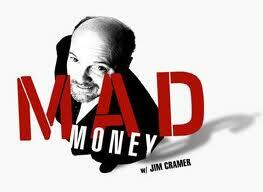 Jim Cramer's "Off the Charts" segment used Carley Garner's gold and crude oil chart analysis in the September 3rd show! Most crude oil and gold traders are scouring Middle East headlines tabbing for clues of the next price move. However, the truth is we have no historical norm or pattern to help guide us through the Syrian crisis. Even if you are able to predict the decisions and actions of politicians, there is no telling how the markets will react. Accordingly, we feel like it is a good idea to step away from the Syrian crisis and look at the historic seasonal patterns of these commodity markets, along with basic technical analysis techniques, for guidance. One of our recent issues of the DeCarley Perspective focused on this topic was featured on CNBC's Mad Money on September 3rd. The DeCarley Perspective is a publication distributed exclusively to DeCarley's brokerage clients. If you are interested in being part of the loop, open a trading account today!